Entrepreneur. Teacher. Full-Stack Web Software Engineer. I'm a hard-working, thorough and empathic guy who likes and understands both sides of technology projects, having business and technical knowledge. I enjoy the challenging part of business where timings and budget must fit the weight of a software project. I also like to take care of the product growth and its impact, also enjoy the customer care and relationship. On the other side I like having contact with technology and the engineering team. I feel really well managing teams and projects, taking care and ensuring project priorities, the schedule and checking the final result. I love helping people and team members, also ensuring its technical and professional improvement acting as mentor. My experience comprises small and medium organizations. On the technical side i have a large background on GNU/Linux operating systems and Web Software Engineering through PHP, Symfony, MySQL/MariaDB and other must web technologies. On my spare time, I love having fun with my friends and also practicing my favorite sports. Other Skills & Personal Qualities. My main experience on this subject is related to web projects sales, customer base management, catch and loyalty promotion. I also have some background on corporate account, wealth, budget, estimate and expense management. Lastly I'm also used to budge preparation and final sale completion. My main background on this area comprehends development and customization about service leasing contracts, also installment periodic monitoring and claim when needed. On the other hand, I have strong knowledge on detecting uncovered customer needs and transforming them into new and improved software features. I have a strong background on project management, planning and monitoring - getting support on tools like Redmine and following SCRUM paradigm - combined with team management on little and medium corporations. Always helping new junior team members becoming his/her mentor to help them decrease the learning curve and getting used to the corporation. Lastly, i also got wide background on software features validation once development cycle gets to its end, together with customers or by my own. In software development projects the use of version control systems is essential. In this matter I rely on Git where I have advanced knowledge as user. Also, on my early years as software developer i used to manage the project code through Subversion. I have a little experience designing and managing XML files to store information and also running XPATH queries to get concrete data. Lastly i also have some XSLT knowledge where i used to transform XML files into other structured formats like HTML. I've been using GNU/Linux over the last 17 years so i consider myself an advanced GNU/Linux user. My favorite flavor is GNU/Gentoo Linux which I'm a user since its first beta release about 14 years ago. Some tasks I'm very used to are: compiling custom kernels, whole operating system configuration and compilation, configuration and deployment of services like Nginx, Apache, FTP, SSH/SFTP, SMTP and IMAP/POP, MySQL, Samba and LDAP as PDC and a large etcetera. I also I have some basic knowledge of Bash scripting. Over the last 4 years I've been administrating and improving a professional custom mail service mainly based on Postfix over MySQL, Courier secure IMAP and SASL. Obviously, I relied on secure technologies like TLS, SPF, DKIM, Amavisd-new, SpamAssassin and ClamAV to secure and assure incoming/outgoing data communication. I also complemented the service with ownCloud GPL cloud software solution and some webmail software like Roundcube among other ones. Three months long workshop targeted on learning the basics of Microsoft ASP and Microsoft .Net. University engineering degree specialized on computer systems. This engineering degree equalises to EQF Level 6 and Meces Level 2. Click here to download the equalising certificate between Computer Engineering degree and MECES plus EQF Levels. High School two-year certificate focused on learning computer programming basics and computer systems administration. English certificate provided by University of Cambridge which demonstrate English proficiency at Level B2 of the Common European Framework of Reference for Languages (CEFR). Official education department exam indispensable to get public university access. I passed scoring 6 over 10. Academic certificate awarding a pass on the Technical High School for 16 and 18 year old students, necessary for subsequent university degree. Academic certificate awarding a pass on the compulsory education for students between 14 and 16 years old. First stage of compulsory education for students up to 14 years old. Laboratory practice's teacher for the subject Introduction at Problem and Algorithm Design Problem Solving belonging to Enterprise and Tecnology Degree. Those laboratory practices involve solving enterprise and accounting exercises, by students, coding Macros and VBA on top of Microsoft Excel Spreadsheets. Explaining the tasks to carry out by students. Pupils support to help them understand exercises formulation. Technical support related to VBA syntax understanding and logic programming reasoning. Correcting and grading laboratory exercises. Module 4 – Llenguatge de marques i Sistemes de Gestió d’Informació, DAW first cycle. Module 7 – Desenvolupament Web en entorn servidor, DAW second cycle. Module 8 – Implantació d’aplicacions Web, DAW second cycle. Mentor and part of the jury for students ending DAW's last cycle. Corporate account, wealth, budget, estimate and expense management. Sales, customer base management, catch and loyalty promotion. Development and customization about service leasing contracts. Budge preparation and final sale completion. Installment periodic monitoring and claim when needed. Initial requirements analysis and study of the current situation. Project management, planning and monitoring (Redmine + SCRUM). New junior team members mentor. Software features validation together with customers. Deployment and remote software configuration on GNU/Linux servers through SSH. Deployment and primary domain controller management through Samba and LDAP. Private Git server repositories management. Web service management through Nginx and Apache. Email server infrastructure deployment supporting SMTP, IMAP through Postfix and aslo Courier, SASL, TLS, MySQL, Amavisd-new, SpamAssassin, SPF, DKIM it all complemented by some web mail solutions. Backup solution for: email server through slave mail server, MySQL databases (Bash Scripts together with Cron scheduled tasks) and the whole OS file system (Bash Scripts together with rsync). CTO for the external web engineering team in charge for the development of the La Salle CMS used at www.salleurl.edu, alumni.salleurl.edu and www.salleurl.nl. Co-Founder, Software engineer & System administrator. Web software engineer on PHP & CodeIgniter. System administrator on Amazon EC2. Mass mail server through Sendmail, MySQL and a customized PHPList version. Software engineer & System administrator. 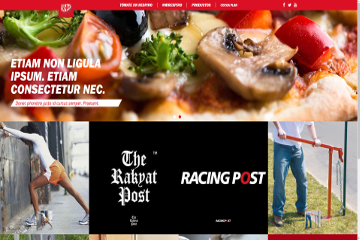 Corporate web development through plain PHP and Smarty. Administrator about the following corporate services: corporate email system and accounts, corporate users, web services (intranet & public), LAN file system server service through Samba, MySQL database synchronization, daily system backups on internal RAID and remote server storage through Bash scripts and rsync. Everything based on GNU/Linux systems. System users account management through GNU/Linux and a secondary domain controller and Active Directory service running on an old Microsoft Windows Server 2000. 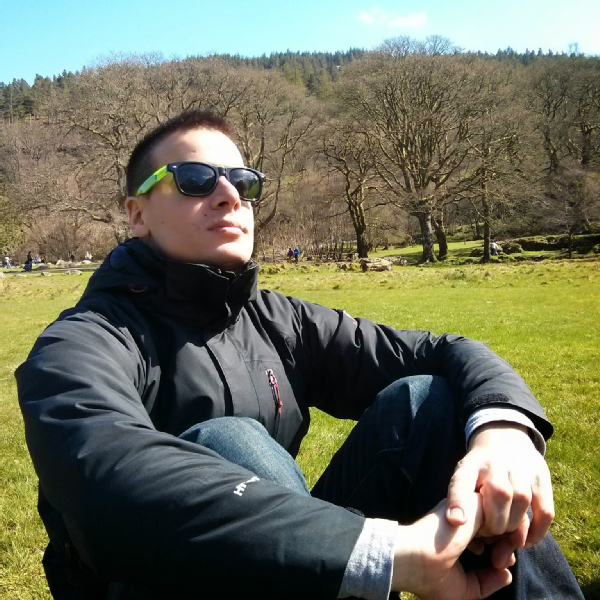 Ofertix Software engineering team member. Frontend and Backend PHP Developer. Frontend and Backend software development via MVC paradigm through PHP and Symfony1.x on GNU/Linux environments. Designing and coding of ofertix.com DataWareHouse which stored main website database snapshots on hourly basis. It was accomplished via SQL and Symfony tasks to model and insert the captured data. Statistical Backoffice frontend and backend engineering against the previous DataWareHouse through PHP, Symfony1.x, Open Flash Chart2 and PHPExcel. EyeOS core developer team member. CSS layout and PHP coding for new eyeOS applications. CSS layout and PHP coding for La Generalitat de Catalunya Cita previa applications inside eyeOS. Issue's fixing at schools were eyeOS had been deployed, like Centre Educatiu Jacint Verdaguer, Sant Sadurní d'Anoia. Technical docs management through wiki website at http://wiki.eyeos.org. I also got a recommendation letter signed by the eyeOS CEO Pau Garcia-Milà Pujol. Click here to download. Fixing external client's issues (Bonpreu's SonicWall) via VPN connections and also through MS. Terminal Server. User management through MS. Active Directory. Computer machine's supervision through Nagios networks. Virtual machine's installation and configuration through VMware. Newsletter coding and layout for http://evangeli.net website. GNU/Linux Cron scheduling and coding of Bash scripts to ensure successful mailing of newsletters. Internal issue management and fixing taking support on Mantis, Bugzilla i Launchpad. Unique network and computer's systems technical manager in the factory. Computer's hardware and software problem solving. My main assigned tasks were to repair and assemble computer systems, hardware and software. Also deploy and configure home LAN and Internet networks at client's residences. These are some of the latest projects entirely engineered by me. Free web application for professional management of coaching and psychotherapy processes and sessions. Currently under heavy development. 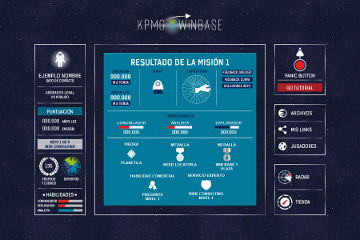 Gamified e-learning web application for KPMG Madrid. 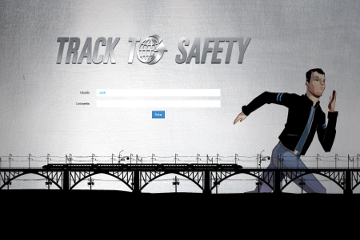 Gamified e-learning web application for Lander corporation which goal is to train railway drivers in a theoric manner. Benetton United Dreams 2015 campaign page. Engineered over an custom API REST coded with PHP, Symfony2, MySQL, HTML5, CSS3 and AngularJS. Nestlé Kit Kat homepage (2015). Engineered over a custom API Rest coded with PHP, Symfony2, MySQL, HTML5, CSS3 and AngularJS. Drop me some lines or give me a ring. It's always a pleasure to hear you. © 2016 Pau Peris, All Rights Reserved.